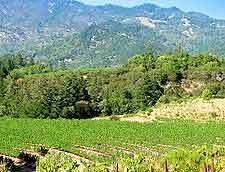 A series of spreading parks and related attractions lie around the Napa Valley region. Encompassing some 100 acres / 40 hectares of spreading forests and meadows, the Bothe Napa Valley State Park is popular with campers, since it is home to an excellent camping site - the very affordable Ritchey Creek Campground. 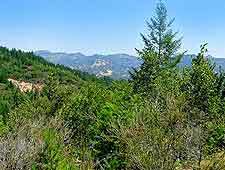 Also within the Napa Valley is the Skyline Wilderness Park, an attractive recreational space and trailhead, attracting many visitors during the summer months. 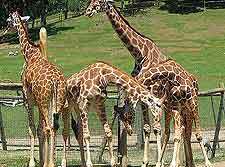 The Safari West Wildlife Preserve is a vast parkland / animal attraction and without question one for all of the family. Covering around 400 acres / 162 hectares in total, Safari West attraction lies in the very heart of the Napa Valley, where it is home to many graceful African creatures, such as antelopes, buffalos, cheetahs, giraffes, impalas, lemurs, warthogs and zebras, amongst others. As you stroll along the hiking trails within the Bothe Napa Valley State Park you will encounter a number of important historical ruins, which are well known around the region. These include the Napa Valley's very first church, along with a pioneer graveyard. 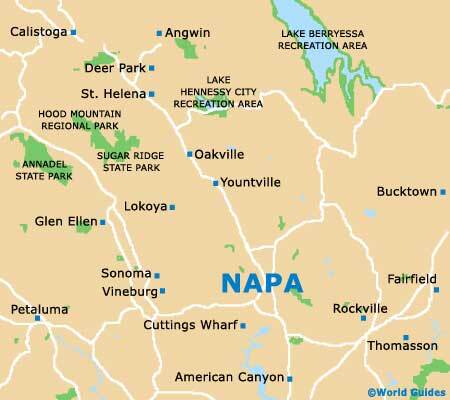 The Bothe Napa Valley State Park is to be found within Calistoga and is well signposted along the St. Helena Highway. Safari Adventures are available at the Safari West Wildlife Preserve and these guided jeep tours allow visitors to encounter many of these friendly and rather inquisitive animals close up, in a natural Savannah environment. Twilight 'Under the Stars' safaris are also available and becoming increasingly popular, operating between the hours of 17:30 and 23:00. Lodging in the form of tent cabins is available for those who wish to stay at Safari West a little longer. Visitors come to the Skyline Wilderness Park to picnic, mountain biking, horse ride and to simply enjoy the scenery, which offers something quite different to the many from the vineyards. There are a number of steep trails around the park, ultimately leading to the valley rim and some rewarding views. However, those attempting the steepest trails will need a good degree of fitness.